Editor’s Note: This is the eighth installment in a series about home gun safes. The series will dive into detail about safe technology, mounting/hardening you safe, increased fire protection, specialty safes and higher-rated safes, and buying used safes. There is a lot of information to consider when buying a safe. Follow along with us as we take a deep dive into this subject. Most of the safes that I own and have owned were purchased used. Several circumstances made this possible. I owned a truck and trailer to move the safes with. I had a wide circle of friends that owned safes and knew when I was looking to get one. I have never had a bad experience buying a used safe. 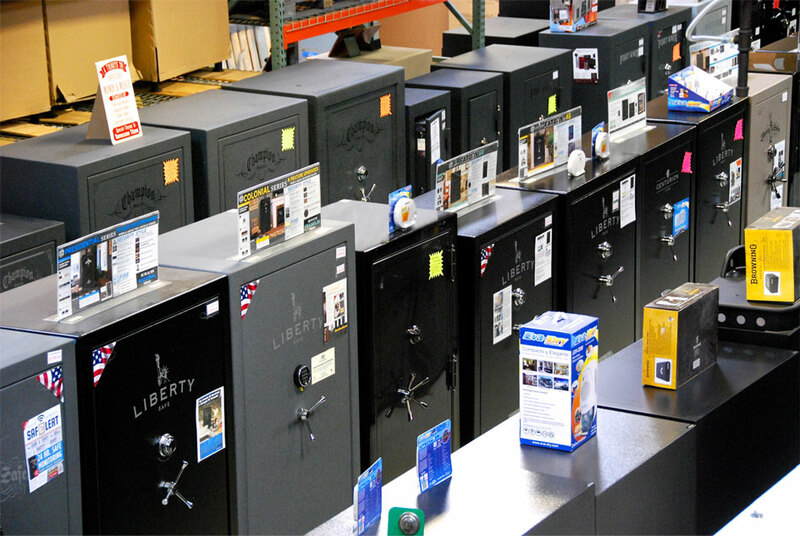 There are a lot of options out there when it comes to guns safes. Selling yours used can get you the money to upgrade to a bigger model, and buying a used one can save you some money. I am asked about buying a safe about once per month. I will always respond with my thoughts, and then say something like “I will let you know if I hear about anyone selling a safe like the one you want.” More than half of the time, based on the looks I get and follow up questions, people believe that used gun safes are not good purchases, as if the only reason to sell a safe second hand is because it is sub-par. Selling a used gun safe does not necessarily mean that something is wrong with it. There are many other reasons one might be sold. I can tell you from experience, as I have sold several perfectly good safes. 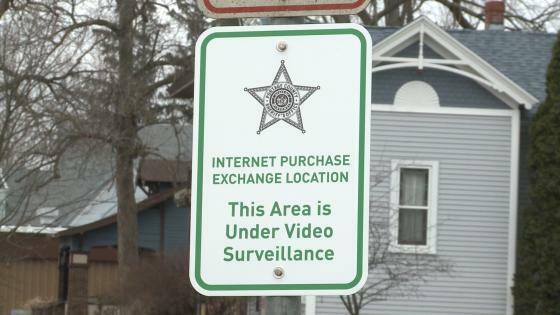 The owner could be moving to a new home, upgrading to a larger safe, or just orchestrating a general “force realignment” due to domestic changes. So, buying a used gun safe is not a bad idea. Also, selling your safe is a great way to upgrade to that new safe you really want with all those great features you just have to have. With that out of the way, you do need to be aware of some considerations before you decide to proceed. 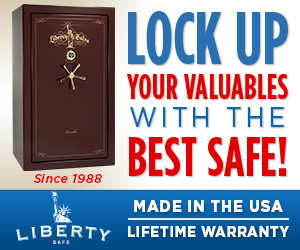 Want to upgrade and get a safe that better matches your needs? 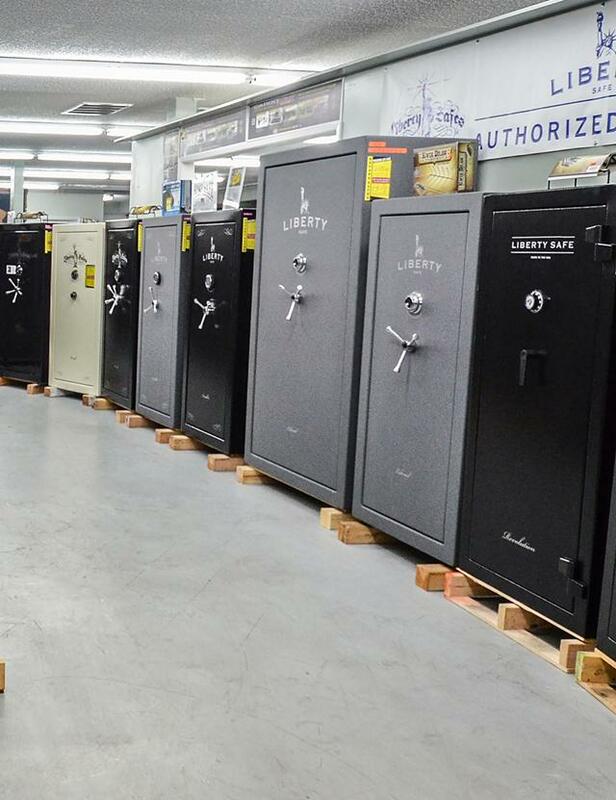 If you want to buy a new safe, there are a number of choices that must be made in order to determine what you need before you are ready to purchase. Retail stores, online stores, and even manufacturers will usually get a new safe to you within a matter of days or weeks from the time of purchase. You just do your homework, click “Buy,” sit back, and relax. The experience of going used is much more like hunting. First, you must decide what you want and need in a safe (see the other articles in this series). Once you know what you’re after, you can begin to stalk your prey. For me, step one is letting all my friends know what I am looking for. You will (and should) spend a great deal of time filtering out safes that don’t fit your criteria, but don’t give up. Chances are, someone out there wanted the same specifics that you did, and one of them is selling. Many safes are sold by the family of the former owner, so estate sales can be great hunting grounds for you online. Some of your desired features may be possible to add to an otherwise-working safe that lacks them. Lock interfaces can be changed from dial to keypad, and msot newer safes could even take biometric. Shelving, lights and other interior changes, for the most part, are no big deal. Cost is the only thing to factor into your decision when it comes to addable features like these. The value price proposition works generally on the 60/40 rule based on my research, based on the age and condition of the safe. Now, this is not a hard and fast rule, but rather a ballpark to get your mindset in the right place. A safe less than 10 years old and in excellent condition can go for 60% of its retail price. An undamaged safe over 10 years old and in operable condition will often sell for 40% of its retail price. Delivery and setup are very real considerations. Do not fail to take these services into consideration, especially when hunting for a larger safe. If you have the means to handle this yourself (as I do), the actual execution of the move will go something like the following: You will call in favors on/bribe a few of your friends and hook up your trailer. Your squad will sweat and groan and throw out a back or two before eventually rigging up a solution to get it onto the trailer. This will probably involve some combination of: a piece of carpet, a dolly, a trip to someone’s house for a larger dolly, and cussing. Even with a good plan, loading the safe onto your trailer and then setting it up at your house will not be easy. I have paid as little as $100.00 to have a full-sized safe moved from one house to another. I have had friends drop $1,400 to have a large commercial safe moved. If you’re in doubt, don’t be too stingy to hire someone to have it done. Moving that new-to-you safe can be expensive and dangerous. Make sure you plan out accordingly. You need to decide for yourself whether you want the combination changed. I have never had this done, but I would advise calling around to locksmiths prior to buying, as once you own the safe, the price seems to go higher. Know whether you’re re-keying/changing the combination before you buy, so that you can factor that into your search. Whether you decide to keep or change the combination, you want to ensure that the safe can be opened with its current mechanism. Have the seller write the combination on a card, and open the safe several times from the card before you hand over the money. Tape the card to the top of the safe and take a picture with your phone. This will save you money no matter what you end up doing with it later. Locating a safe point to purchase or sell a safe is a key consideration. Whether you are the buyer or the seller, you need to consider safety and security. I have purchased safes from the type of friends that I don’t have to worry about entrusting with the knowledge that I own a safe. I don’t even have to worry about them knowing the combination. However, when I purchase from a stranger, I always pick up the safe (no deliveries), and never revealed where I was taking it. I always pay cash rather than with a check with my name and address emblazoned on it. These precautionary measures ensure my peace of mind. If I did not know the seller and did not have the means to transport it myself, I still would not have them deliver. I would opt for a mover, safe specialist or locksmith to handle this task. If you are selling a safe, consider whether you have access to a neutral meeting place to show it, rather than bringing strangers to your home. I have had friends allow me to store a safe that I was selling at their place of business, in the back. I would think that renting a small storage space for a month could work as well. Buying or selling a used safe can be a good choice, even if it’s not for everyone. Buying from a retailer that will handle everything can easily be worth the money. The logistics, shopping around, and precautionary measures may involve tasks that you can’t do, or simply don’t desire to do. If you do buy new, always ask whether they take trade-ins. If they do, the convenience could be well worth the money. So, if you want to sell your safe to trade up, or simply buy a used one, then definitely consider all these points before you make your decision. Previous post: Check out this Post-Apocalyptic AR Build! How do I sell my safe. It is large and pristine. I just bought this home I have no need for it. I’ve been looking at safes for a couple of weeks now off and on, and I’ve been curious about second hand buying. You talked about second hand safes being perfectly fine most of the time, and that there could be a wide variety of reasons for someone to be selling, including looking to upgrade. I think that if I can find some good quality secondhand safes and be able to get something of good quality for a much better price, I’ll be all for it! Thanks for your thoughts! My Father taught me a good trick for hiding your safe in plain sight, at least in your garage. Save the box, and cut out the back, and part of the sides. Slide it over the safe when not in use. It\’s easy on, easy off. My safe, and his, came with a nondescript cardboard box, and just looks like an old refrigerator box, hiding your safe in plain sight when your garage door is open. Safes, a favorite topic. If you own firearms and reside within city limits of a town of any consequential size, a safe is $$$ well spent. Primarily store firearms that are not your ‘first-line’ of defense [typically value] within. Depending on locale, [mainly legal requirements] first-line storage is addressed in other ways. My safe purchases have been from dealers FFL’s I had association with, and were it was going [address] wasn’t issue. None the less I arranged transport on my own because of where it was to be placed. I’m lucky; both are common variety, next to each other, well out of the way yet where I’d be when when you know what occurs. Two 30″ safes are a tight fit in a pick up LOL, we had to make two trips. Pickup had a shell on it. I don’t think safes are appropriate conversation pieces. It occurred late at night. So plan rooms where anyone outside immediate family don’t go or even pass. Depending on your humidity, supply an electric outlet for the low-watt heater. Floor needs sufficient dead load capacity, if 450 lbs and 30″x30″, that’s 70 lbs per square foot; EMPTY. This might include a decoy cabinet to enclose it. There are safes that don’t look like safes; benches, coffee tables, grandfather clocks, curio cabinets, small ones fit behind clothes in a closet, and more. Need more than one? Those make their own ‘decoy’. Too, systems exist that avail a blank wall, even shipped flat – you assemble after taking the exterior panels up or downstairs for example. You probably don’t need a football team…muscles’ good but weight can manipulate 450+ lbs with a high center of gravity too. If a commercial safe is chosen; a number of ways can separate you in the store, your shiny pickup backed up to the dock, and it lying on it’s back in a clearly marked carton. One friend had his delivered first to a storage center, it was on sale and room wasn’t ready, but disconnected purchase from where-to nicely. Next, couple weeks later a little rented enclosed trailer. List of search terms: Stair climber dolly. Heavy appliance [layback] dolly. Sheets of plywood for gravel drive/ lawn/ carpet. Carpet tubes, play like an Egyptian. Golf balls, best temporary casters available. Spongy toolbox liner, weight+friction = good. Don’t get them with same combo’s or key’s. Tapered shims, safes don’t have leveling feet like refrigerators. Or you need a mover. 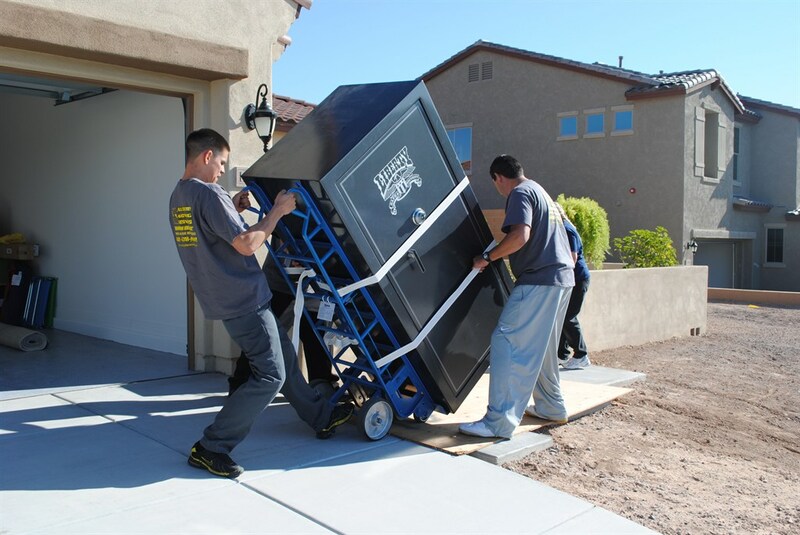 Millwrights & Piano movers are equipped for bulk and weight, lock shops that sell safes, and office supplies selling fireproof files all have their own equipment or contract to those who do. They’ll have bonded services, insurance, lift gates, etc. A lot of fuss? Multiple Auto-5’s. Gr III Auto .22, Superposed, SxS, 101’s, 29’s, 24’s, 25’s, 41’s, No1’s, No3’s…you get the idea. In 32 years I can still count how many people have seen the safes and all my contents under 10. No fuss at all.